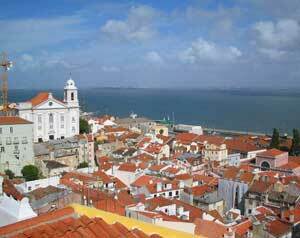 Portugal is trying to draw non-residents to the country willing to invest in business and property. Beginning in November, a new piece of legislation will be in place extending long term visas to non-residents willing to bring in the needed business capital and employment. Propertyshowrooms.com said in a report citing the publication Algarve Resident that the new visa eligibility rules include: buying a Portuguese property worth of €500,000 or creating 30 or more jobs; .or transferring at least €1 million (£798,913) in capital. These changes will help boost the sales for resort and the second-home market, Mr. Andrew Coutts, managing director of ILM Asset Management, told the news provider. Global Property Guide Research said in its latest house price index evaluation of Portugal that land values have declined 10.95% during the second quarter period since June 2011. In spite all these good intentions to sell and tap new business investments to boost the economic recovery, the pain austerity will still be felt nationwide in Portugal sometime in 2013. Austerity measures in the form of higher income and real estate taxes will be initiated in Portugal beginning some time in 2013, the country’s finance chief Vitor Gaspar said in reports. Reports from the propertyshowrooms.com indicated that not only does income taxes will go up, taxes on property, capital income and financial transactions will go up as well. Mr. Gaspar announced that this is part of the bailout plan for the country to meet fiscal goals. Income taxes will go up to an average 11.8% from the current 9.8%, Mr. Gaspar noted.